Daniel Heath is a British award winning independent wallpaper, textile and surface designer renowned for his illustrative and engaging designs. 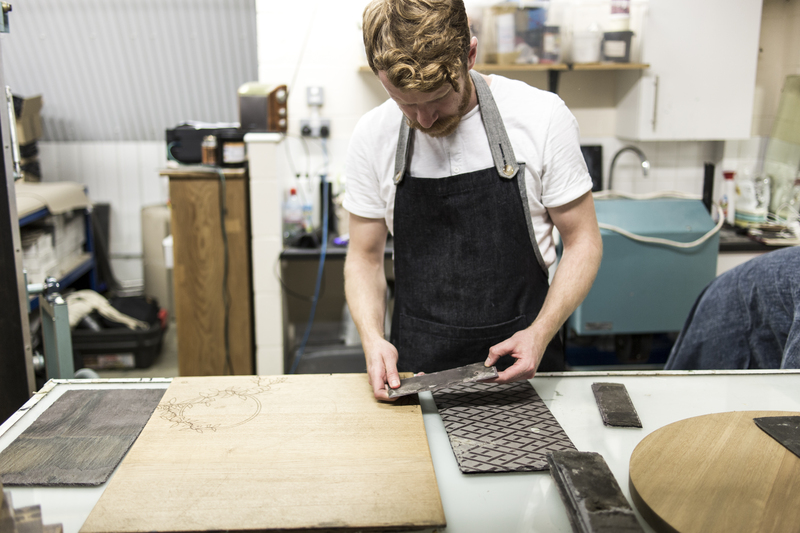 Based in the heart of East London, the designer-maker has long upheld principles of craftsmanship and sustainable design through up-cycling and re-appropriation of authentic heritage materials. Trained in the traditional process of silk-screen printing at the Royal College of Art, he set up his studio in 2007 to make bespoke, hand printed wallpapers and crafted interior surfaces exclusively made to order. Drawing has always underpinned his surface pattern designs, and many have references to a time or a place to form playful narratives. Daniel utilises technologies, such as laser engraving, to create many of his unique designs. The outcomes cross the boundaries between technology and craft to create modern design pieces that embody traditional values yet contemporary aesthetics. Daniel is an experienced academic and has lectured Textiles at a range of universities, including Loughborough, Manchester, Bournemouth, Staffordshire, Bucks New University and Central St Martins and also provides mentoring for young designers through the Crafts Council Hot House scheme. Clients include Swoon Editions, Panasonic Europe, Farrow & Ball, Heal’s and Anthropologie (US), among others, as well as numerous private clients. Daniel exhibits and sells his work internationally including Europe and the US. Daniel is also a proud brother of the Artworkers’ Guild, London.